It has been a fly-tying spree. I learned so much during Tim Flagler’s seminar. I immediately bought some new materials and got to work. One new fly is the Micro Egg, tied in size 22. Tim swears by it and had some cool techniques. I’m a sucker for new approaches and am all-in. First, I bought some McFlyFoam Egg Yarn. I bought the Clown Package, as it had different colors. The material certainly has much more “spring” than my old egg yarn. Then, I got to work. The fly-tying technique requires using a small tube, about which Tim discusses at length in a video (link here). The tube allows for precise and easy placement, and, also, it compresses the yarn. Unfortunately, I destroyed my bobbin threader while pulling the foam through the straw. Heavy tippet and pliers did a much better job. But, the final product looked great. I’m sold. When I was new to fly fishing and fly tying, I often fished egg patterns, whether it was Tim’s Antron Egg or the plain-vanilla kind. The flies worked particularly well at the Swift River when I threw small ones. The key was to bring different colors; on any given day, the fish preferred one above all for no apparent reason. I stopped using eggs a while ago because they worked so well. And, I became burned out on fishing the Swift and targeted other waters. But, I’ll be giving the Micro Egg a go on my next outing there. 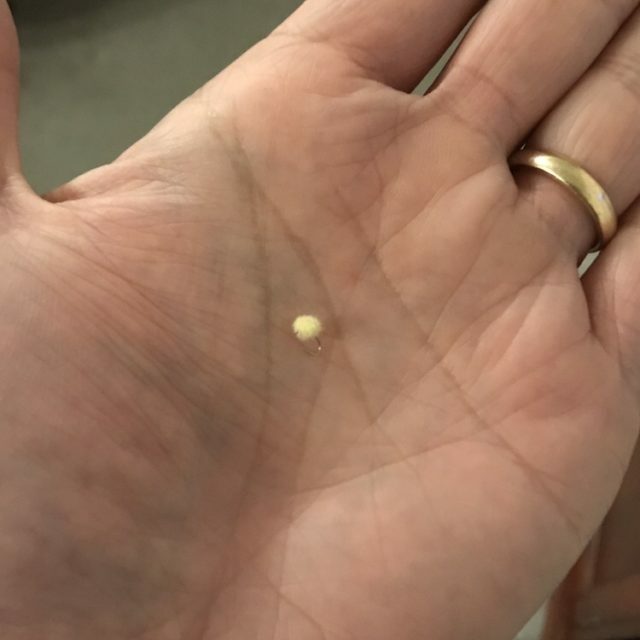 I’ll have a bunch of Micro Eggs with me and am happy to give them away should we cross paths. You tied a bunch huh? Sounds like you’re preparing for me to raid your fly box again!! Your flies are great man, I’ll have to give this technique a try. Have been using gummy eggs for my globug patterns recently but can’t get them smaller than an 18. Absolutely! 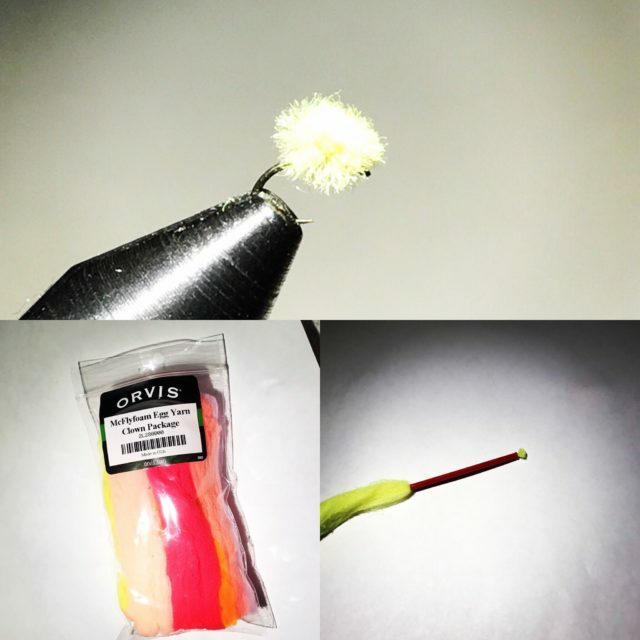 With the tube technique, these flies are a cinch to make. You are always welcome to any and all flies of mine, brother! Suckers spawn in the spring and your yellow eggs should be money! Looking forward to those warm spring days when the fish are hungry! Thanks! It is fun to make. A good pair of pliers was needed, both to thread the tube and to hold onto the egg “stub” to pull off more material after lashing down the yarn (I put too much material into the tube, but I like how dense the eggs looked). Haha! The Swift River is a weird spot. Like fishing at an aquarium. The Farmington is much better, IMO. How about a hatchery with landscape! Agree with you on the Farmington. Nice job on the egg pattern. It was nice meeting you at Tim’s seminar. Thanks! It was fun also to compare notes!